A couple of new sightings from today, and some less popular items from last week. Today, found at Toyworld in the ACT was the first wave of Studio Series Leaders (Blackout and Grimlock), for $90. 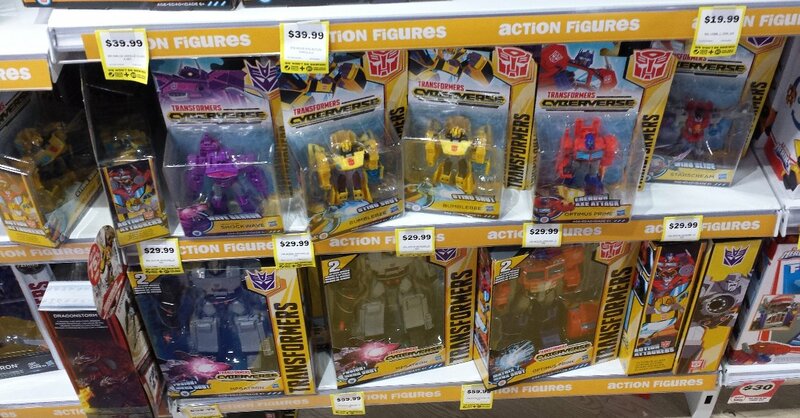 And at a QLD Woolies, the first wave of the small sized Authentics (Optimus, Bumblebee, Megatron, Starscream), for $10 each. And from the previous week or two, the second wave of RID 3-steps (new mould Grimlock and redeco Thunderhoof), which we skipped last year when wave 3 and 4 were being released while the RID toyline was still going. Meanwhile, the rarely seen Titans Return Seaspray and Cosmos wave, are appearing at a few more Toyworlds recently, so might continue to show up around the country before that line disappears completely here. SS Grimlock and Blackout at Toyworld $90 damn they look good! 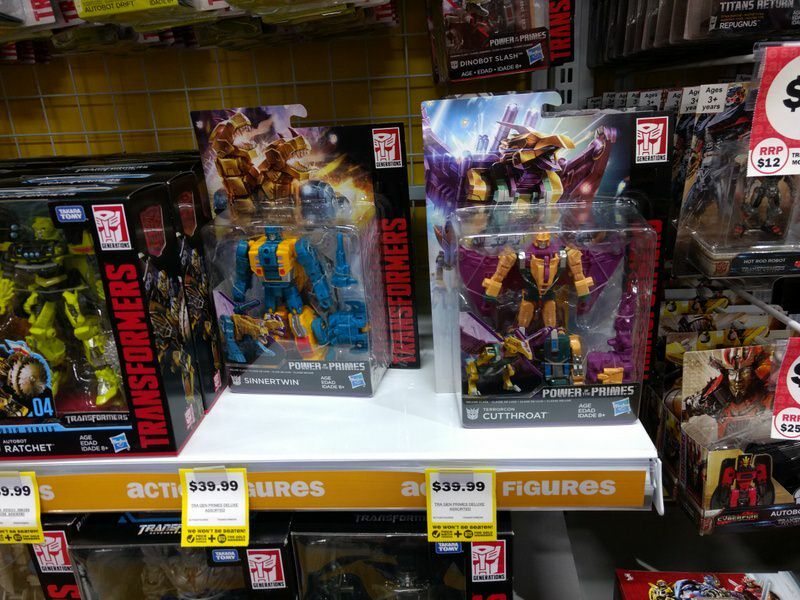 Toyworld Macgregor - Titans Return Seaspray and Cosmos, which were sighted at the CBD Toyworld store, so might now be showing up at other Toyworlds now. I also saw a Deluxe Slugslinger as well. 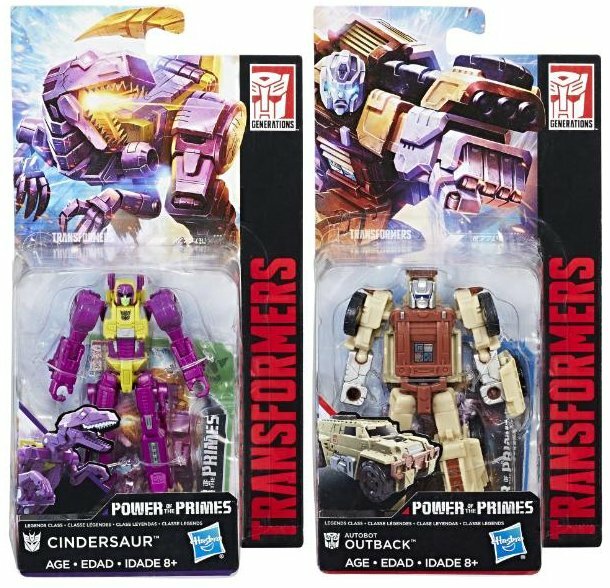 BigW - POTP Voyager and Deluxe now in stock... and a first sighting of the RID 3-steps from last year that had the new mould Grimlock and redeco Thunderhoof. 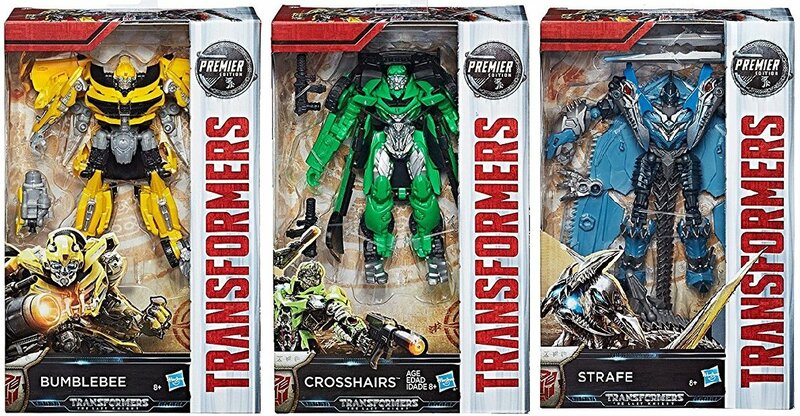 The rest of the Studio Series toys have now been found, at several Toyworlds in Victoria today. Also note that the photo below is our first photo proof of the giant Rescue Bots Optimus Flip-Racer launcher trailer, which had an unverified sighting on another fansite back in December. 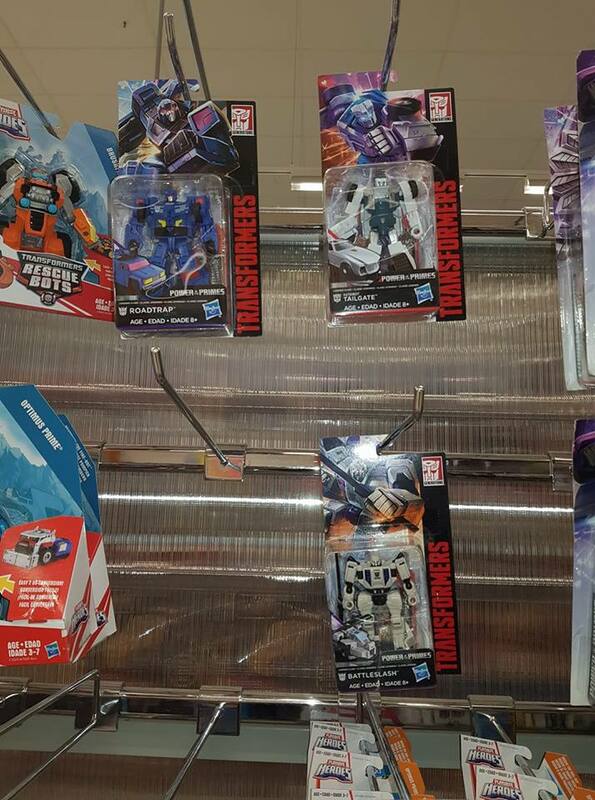 The first of the POTP wave 2 toys have been found here - the Legends class (Tailgate, Roadtrap, Battleslash). Some new toys found in the last week in Australia. 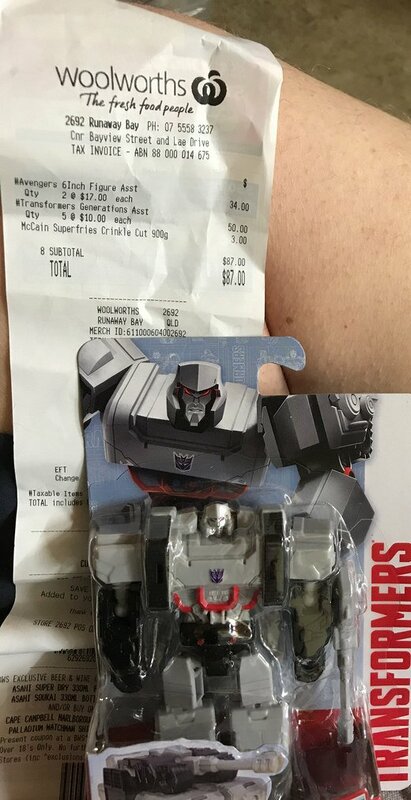 - POTP w2 Deluxe - a single sighting so far of Snarl at a BigW in Brisbane, so hopefully this means wave 2 is actually out here. - POTP w2 Voyager (Elita-1 and Hungrrr) - found at a Kmart in Sydney. 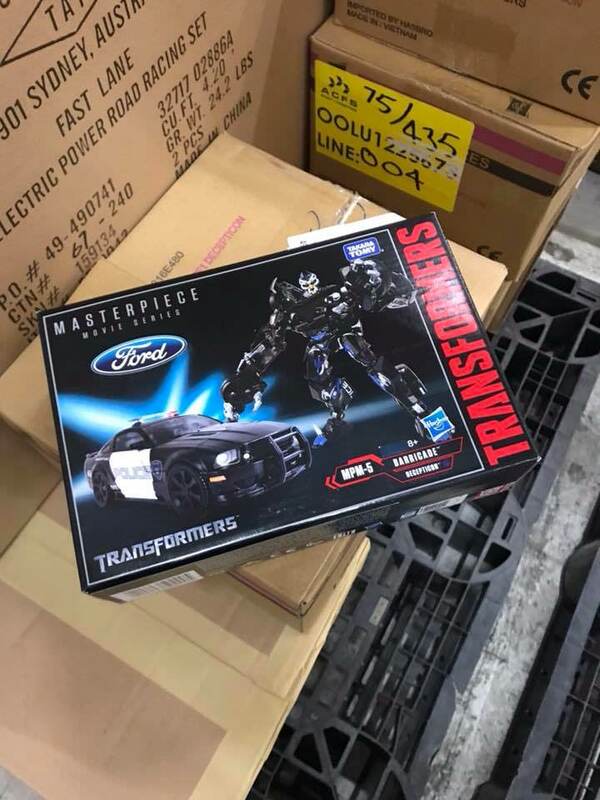 - TF5 Movie w3 Deluxe (2nd Bumblebee, Crosshairs, Strafe) - found at a Toymate in Sydney, which should be getting their stock from Hasbro Australia like Toyworld. - Rescue Bots "Nightwatch" Optimus (with 2 Minicons) - found at a Toyworld in Melbourne. - Rescue Bots Flip Racer Blurr racetrack set - found at a ToysRUs in Brisbane. 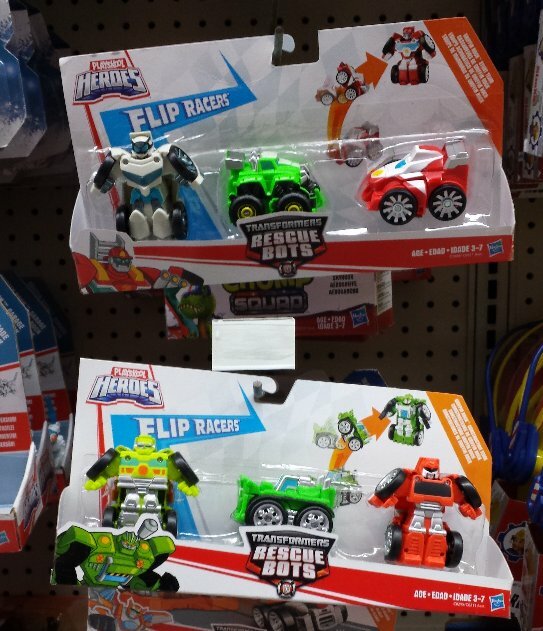 - Rescue Bots Flip Racer w2 3-pack (Heatwave, Boulder, Quickshadow) - found at a ToysRUs in Brisbane. 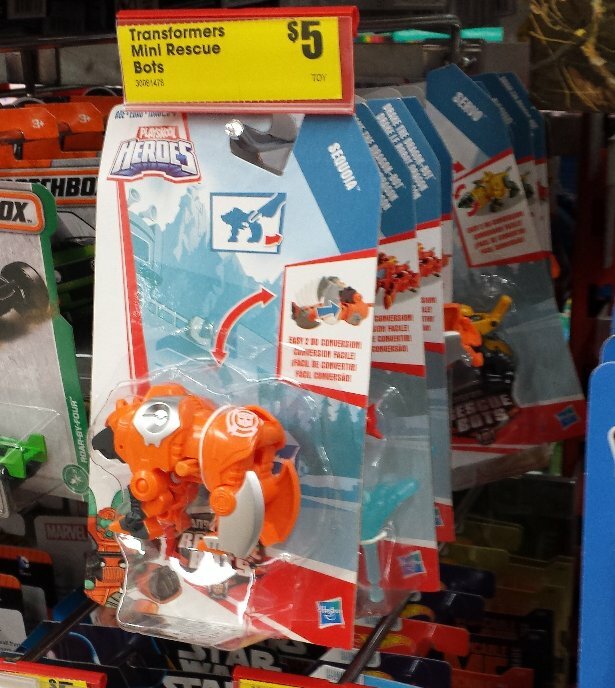 - Rescue Bots Megabot Boulder - found at a Kmart in Brisbane. And it looks like Transformers have returned to David Jones, after a 7-8 year hiatus. Don't expect much of a range, or competitive prices... but they can be used as a last resort if they are sitting on something that has disappeared everywhere else. Slug, snarl, swoop at bigw Strathpine. $29 each. 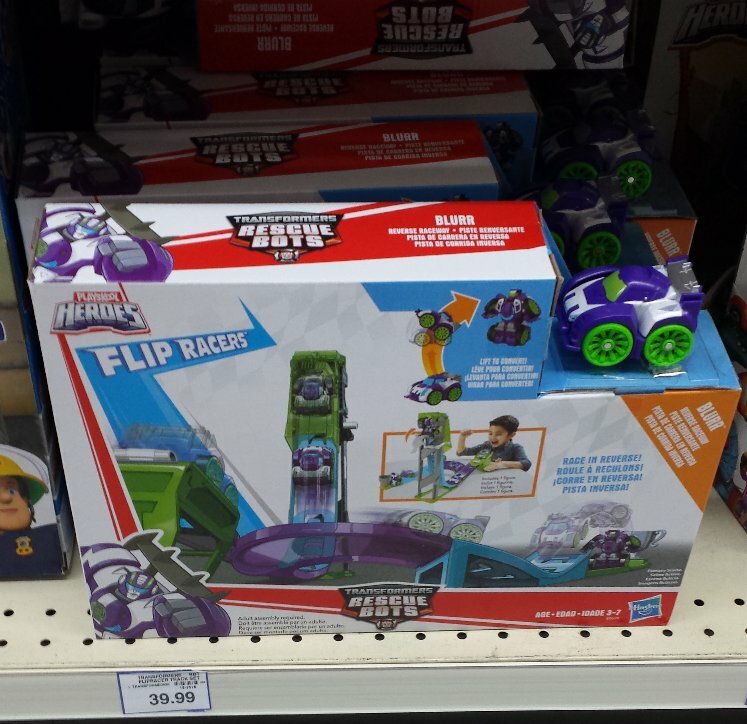 And, new Rescue Bots - wave 2 Flip Racer 3-pack (Quickshadow, Boulder, Heatwave), and the newest trackset with yet another Flip Racer Blurr toy. The new item to note is the latest Rescue Bots Megabot, Boulder, who has a really poorly designed vehicle mode, complete with a shovel that can't be used because it is upside down. 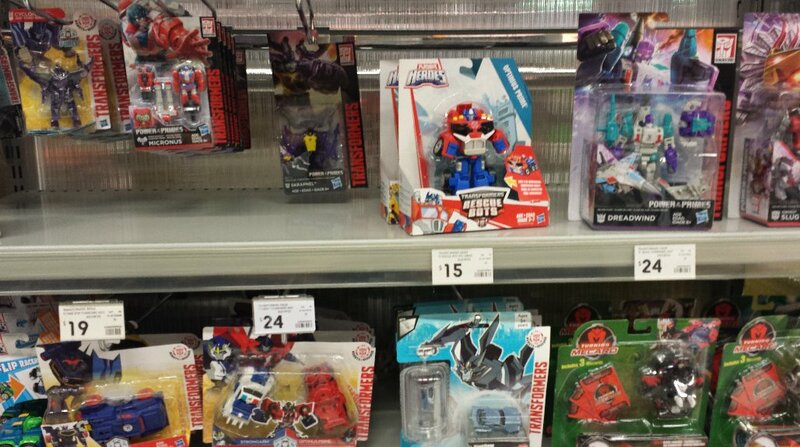 David Jones has had wave prime masters for a little bit now, they don't usually have transformers do they? 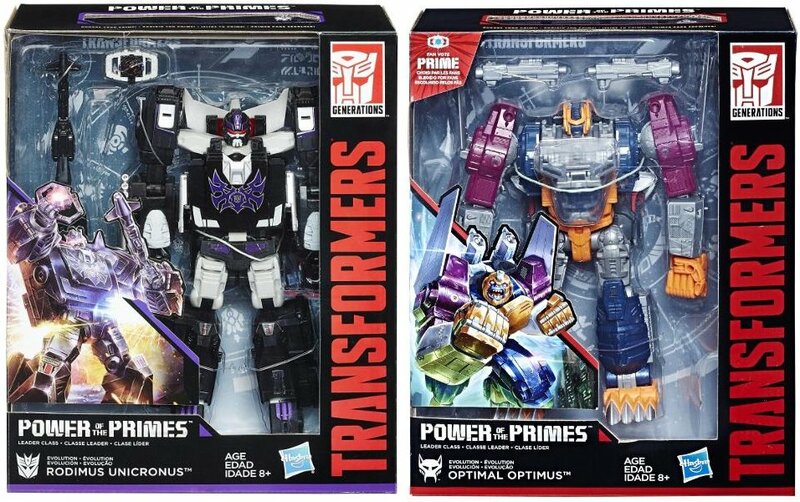 Sighted in the last 24 hours, a heap of BigW stores have been stocking all four of the Leader Class POTP toys for this week's toy sale (to be $68 during the sale), which includes the wave 2 Rodimus Unicronus and wave 3 Optimal Optimus. 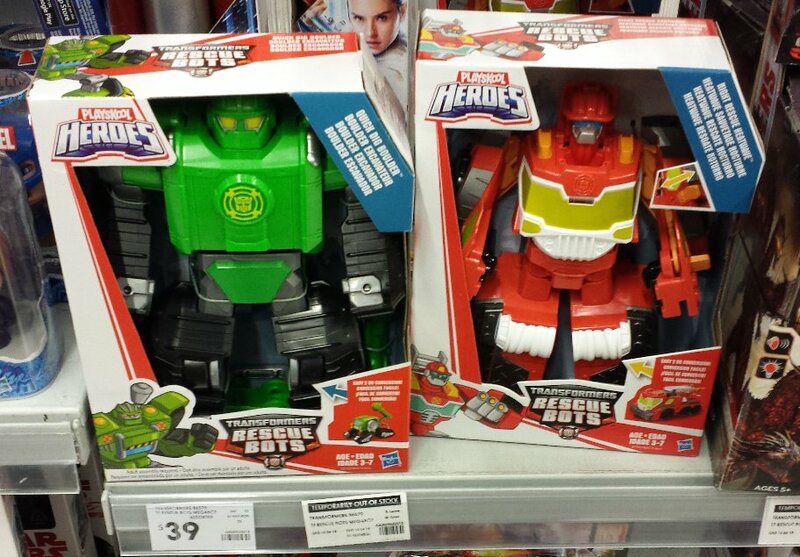 Plus, Toyworlds in Brisbane have been seeing the wave 3 Legends toys Outback and Cindersaur. 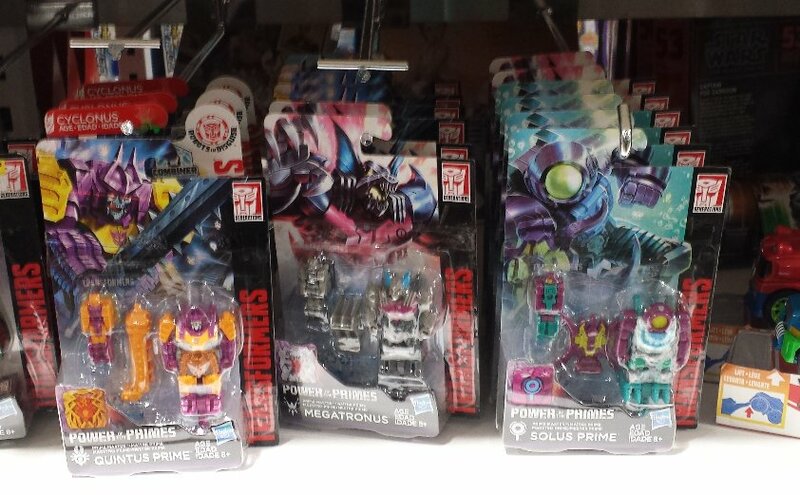 Big W at Woden have a few Evolution Rodimus Unicronus & Evolution Optimal Optimus PotP figures. Picked up the only Optimal Optimus at Big W, Warringah Mall. They had all the other leaders including a couple of Rodimus Unicronus. I managed to grab Outback from Mr Toys in Lawnton. Cindersaur was there as well, but didn't pick that one up. Several HUGE sightings from today, and one from a week ago. 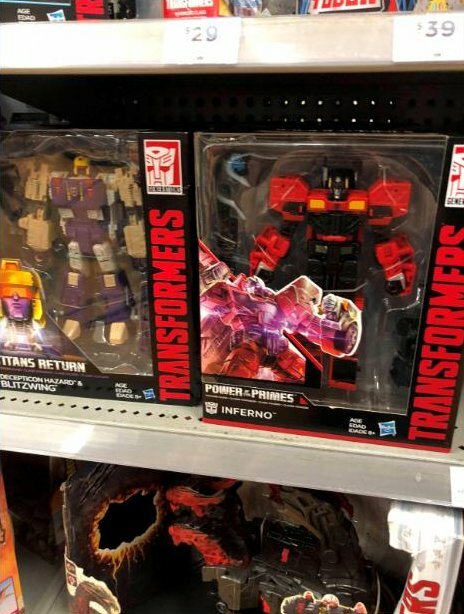 - POTP wave 3 Voyager Inferno found at a BigW in NSW. - Studio Series wave 2 Voyager Brawl & Megatron found at a Toyworld in Victoria. 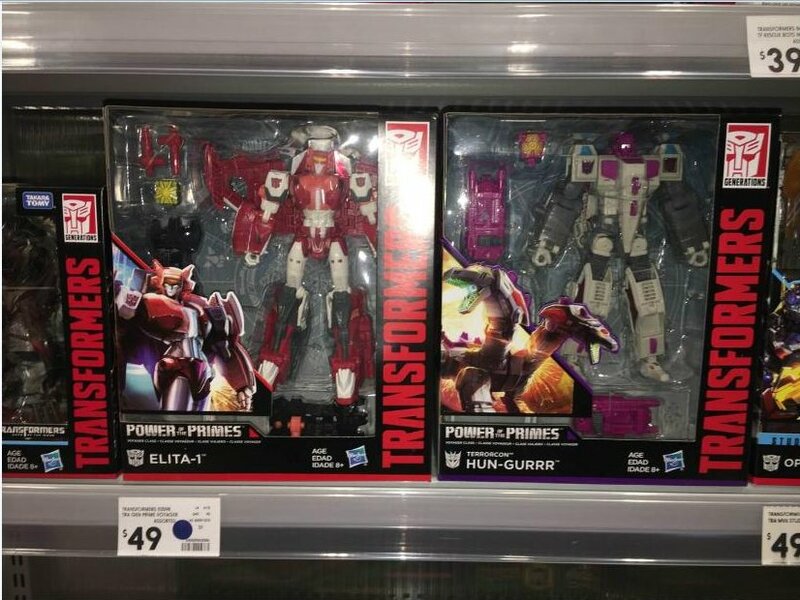 - POTP wave 2 Deluxe finally having a confirmed appearance at a BigW in Canberra. 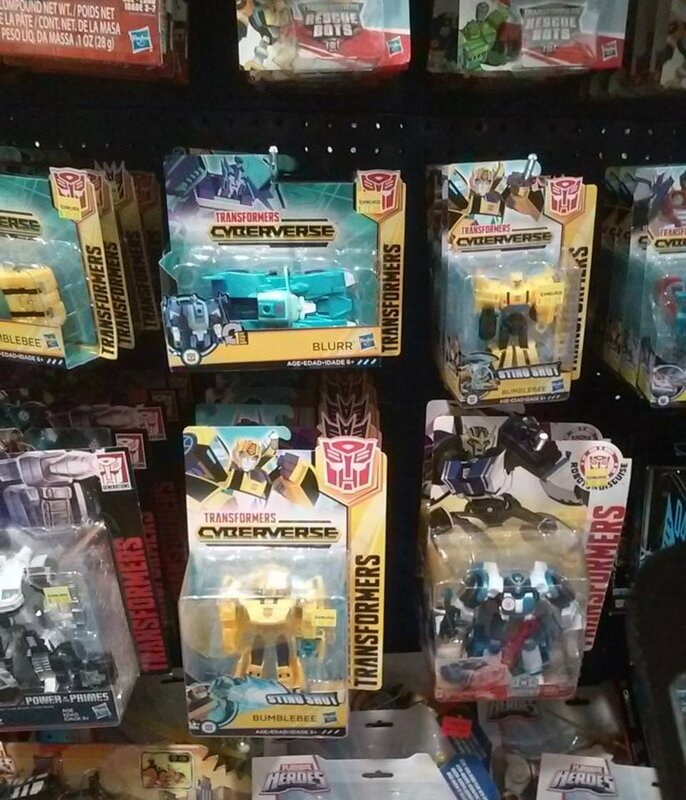 And the big news, Cyberverse hitting Australia before the rest of the world, but since it was at a Victorian Toyworld, it might have been an accidental early release, as we've had some Movie toys in recent years being released early by accident. Then again, these could be their official release, and we just got lucky with the toys... but not the prices, as the Toyworld prices were apparently not right, with them being way over their normal size-class price point. Three sizes found - Scout, Warrior and 1-Step. I found wave 2 of the voyagers studio series. Its at Toyworld Traralgon. Had two Brawl's and now only one Megatron. $54 each if your wondering on price. I have a picture on my phone. Found an Inferno at ryde bigw. Last edited by griffin; 4th July 2018 at 10:13 AM. A surprise find at a ToysRUs in NSW today, with the first sighting of Masterpiece Barricade and Studio Series Thundercracker. Considering that ToysRUs are now winding up operations in Australia, these toys must have been received, or bought, before the official notice was made of the business being closed up. Now to see if they show up at all stores, or just the ones closest to their Sydney warehouse (because it would be the cheapest option while they are minimising costs now). 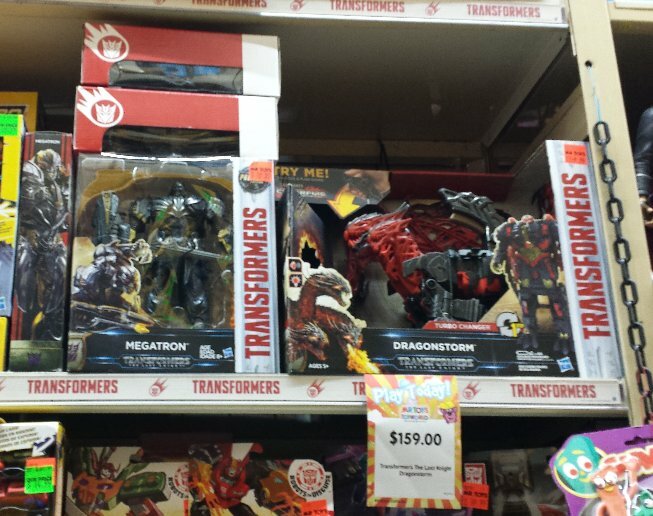 Found this week, the 3rd wave TF5 Leader Dragonstorm at Toyworlds in Victoria (and maybe other Toyworlds). This was a toy that was not expected here, according to Hasbro Australia earlier this year, so it might have been sent here recently from China as excess stock they couldn't send anywhere else. We also have the large sized "Authentic" figures showing up at Coles, for $20 each. The first wave has Bumblebee, Grimlock and Optimus. 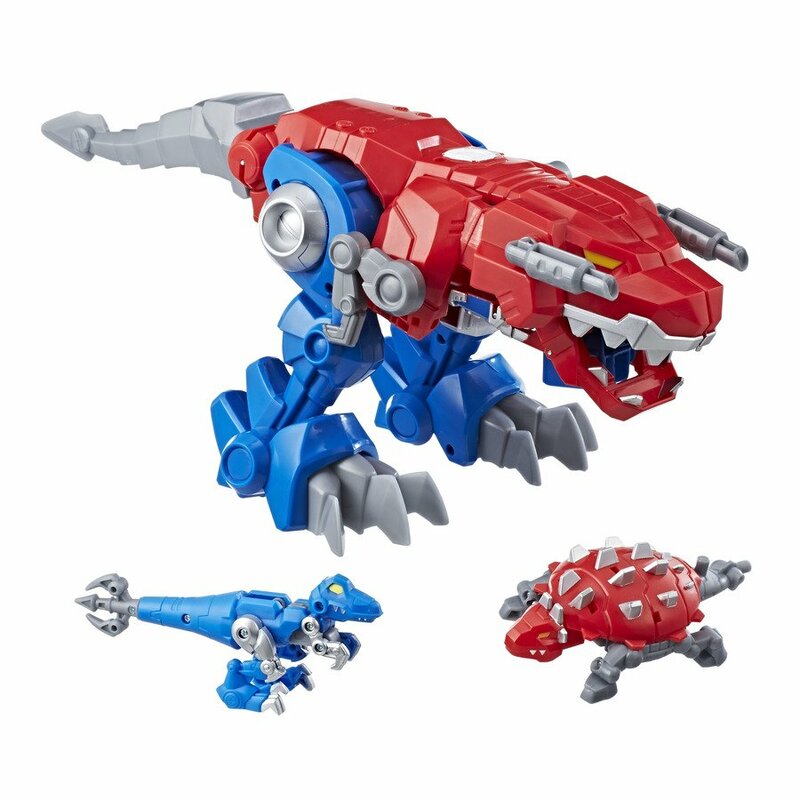 Multiple sightings of TLK leaders in Toyworlds for $40. - Titans Return Ramhorn showing up at discount chain TKMaxx for $5-6 (will probably be the only release of this toy here). - TF5 Movie Deluxe wave 4 Cogman at Toyworld in QLD, with wave 3 Strafe, Crosshairs and Bumblebee. 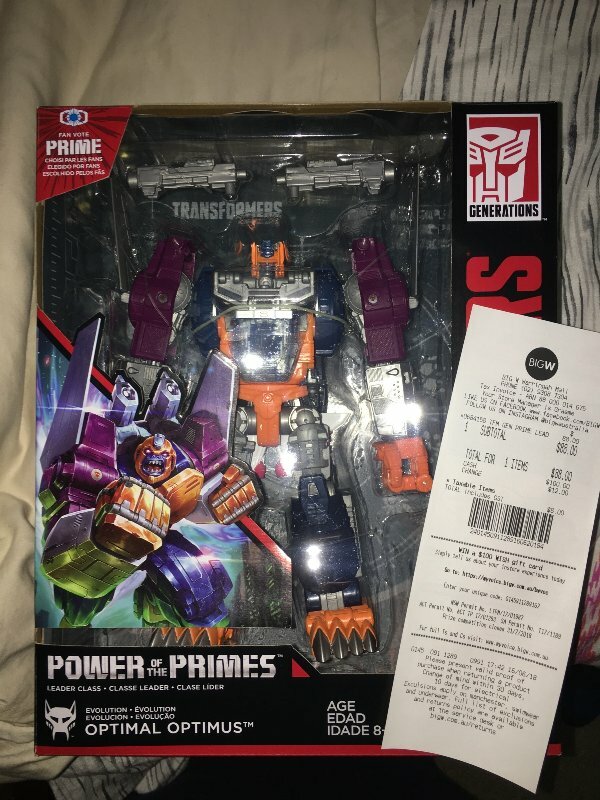 - POTP Prime Master wave 3 (Quintus/Bludgeon, Megatronus/Bombburst, Solus/Octopunch) found at Toymate and Target. - The new Mighty Muggs found at Toyworld and Toymate for $20. - Rescue Bots Rescue Guard Bumblebee (with 2 Minicon dogs) found at Toyworld and Toymate. 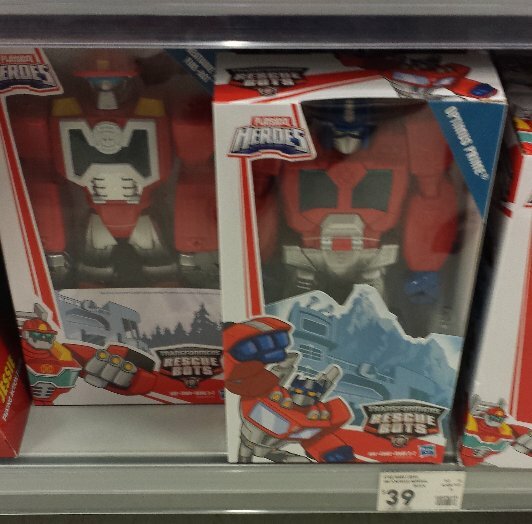 - Rescue Bots Epic (non-transforming) Optimus Prime found at Kmart and Toymate. - Rescue Bots Friends/Minicons Sequoia (orange bear) found at clearance store Reject Shop for $5. 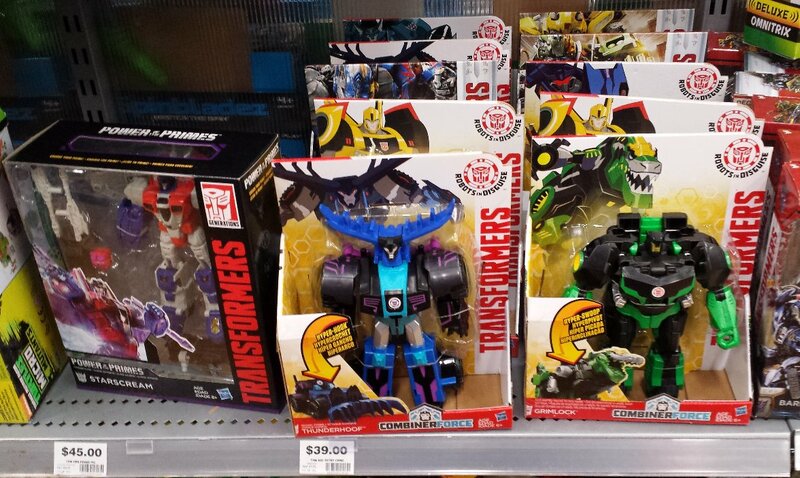 - The two larger sizes of Cyberverse (Ultra and Ultimate) have now shown up at stores here, like Kmart and Target. - Bumblebee Movie Energon Igniter Power Plus wave 1 (VW Bumblebee, Camaro Bumblebee, Optimus Prime) found at Toymate for $30 each. - POTP Deluxe wave 3 Terrorcons found at Toyworld and Toymate first. Found and bought TR Ramhorn at TK Maxx Tuggerah $6. Toyworld Macgregor had several cases in of the TF5 Movie Deluxe wave 3 and 4 toys (wave 4 is actually just Cogman with wave 3... so plenty of Strafe, Crosshairs and new Bumblebees)... and all on clearance for $25 each. Top Ryde Toymate has the octopunch, bludgeon, bomb shell wave. 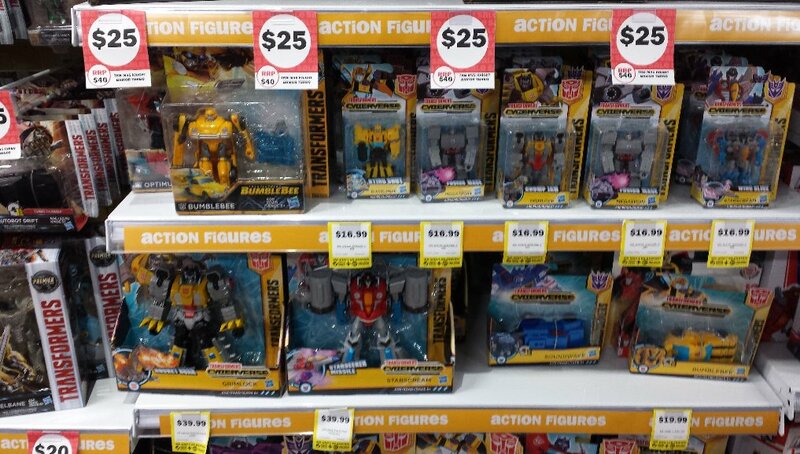 Toy world Werribee has transformers mighty mugs for 20, and the new mega rescue bot bumblebee. 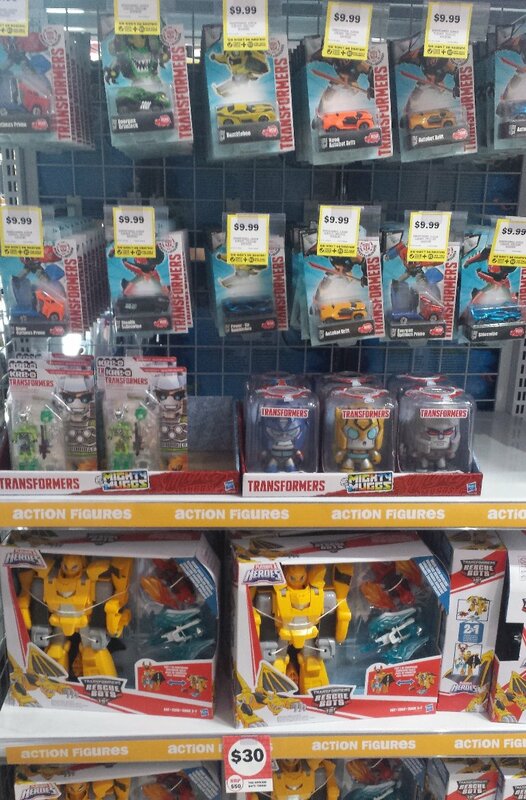 Photos of the Mighty Muggs and the new big Rescue Bots Bumblebee are from the Toymate at Robina. the wave 2 Studio Series Voyagers Megatron and Brawl, plus the newest Rescue Bots Epic (12 inch non-transforming toy) Optimus Prime. Photo of the Ultra class toys at Toymate. Photo of the Ultimate class toys at Toymate. 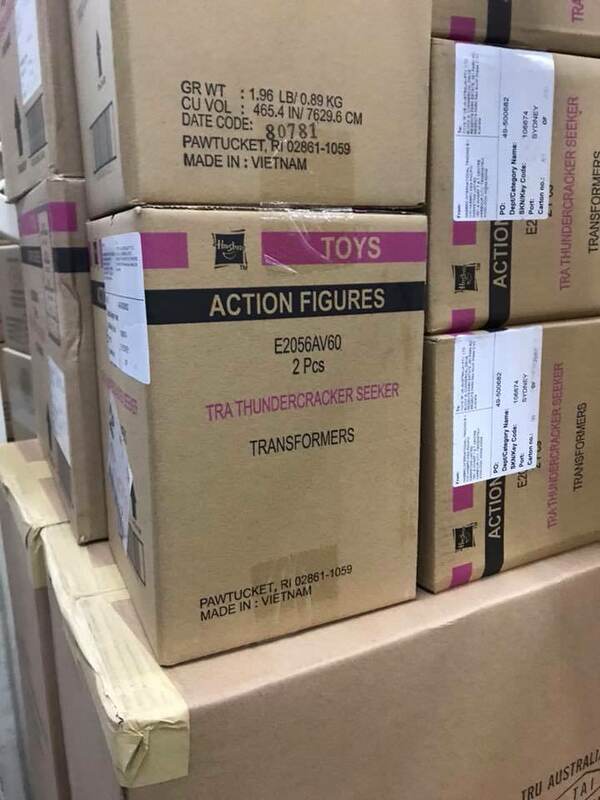 The big find was the first release of some of the Energon Igniter toys for the Bumblebee Movie... which I think shouldn't be released until October. They scanned up, so were meant to be there, but there was only two sets, so probably just a single case snuck though to the store. There were 2 POTP wave 3 terrorcons at Toymate Robina today but someone bought them a minute later. Saw Wave 3 POTP Cuttroat and Blot at Toyworld Australia Fair. Only one of each when I left. Last edited by griffin; 15th September 2018 at 08:25 PM. Three new items found this weekend at three different Target stores. 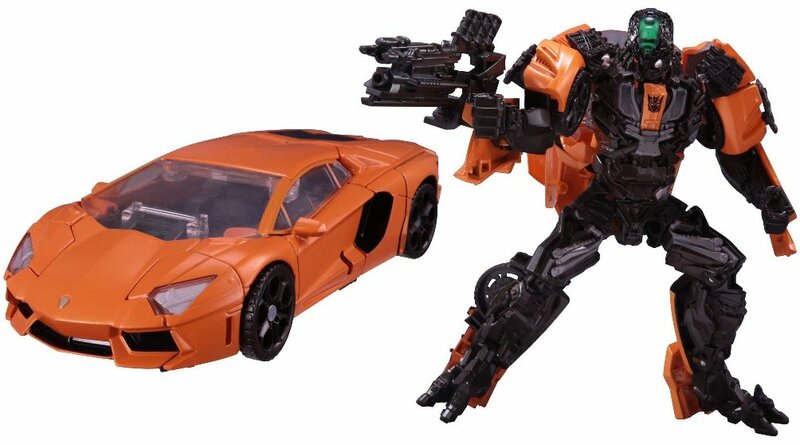 - Studio Series wave 3 Deluxe Shadow Raider (should also have the VW Bumblebee and DOTM Ratchet). - Bumblebee Movie Titan Changers Shatter, Bumblebee, Optimus Prime. 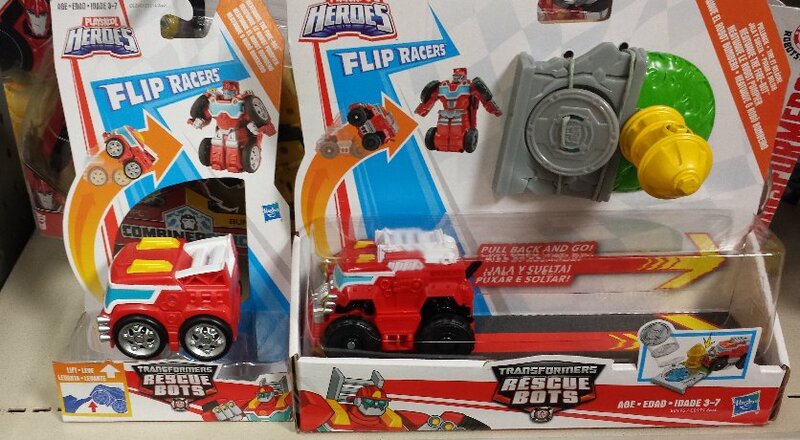 - Rescue Bots Flip Racer pullback Heatwave and Quickshadow for $24 each. 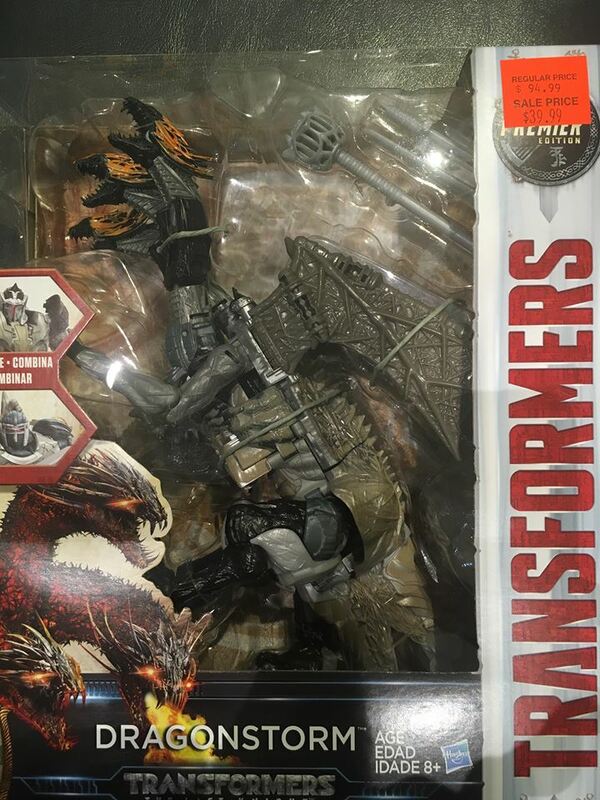 According to dirge last night, the wave 3 Studio Series Deluxe Shadow Raider (orange Lockdown) was found at a Target store in Sydney (Rhodes). 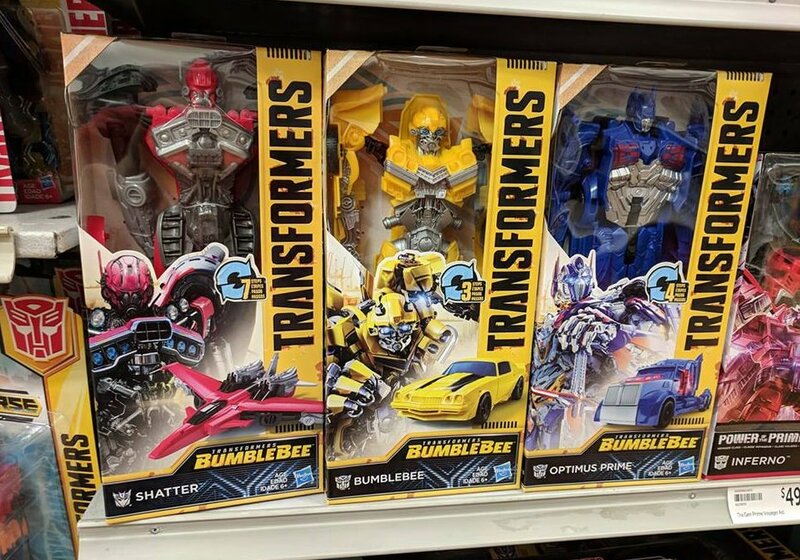 If that's true, it might mean that we missed wave 2 (Jazz, Lockdown), and it should mean that the VW Bumblebee and DOTM Ratchet are out with it. 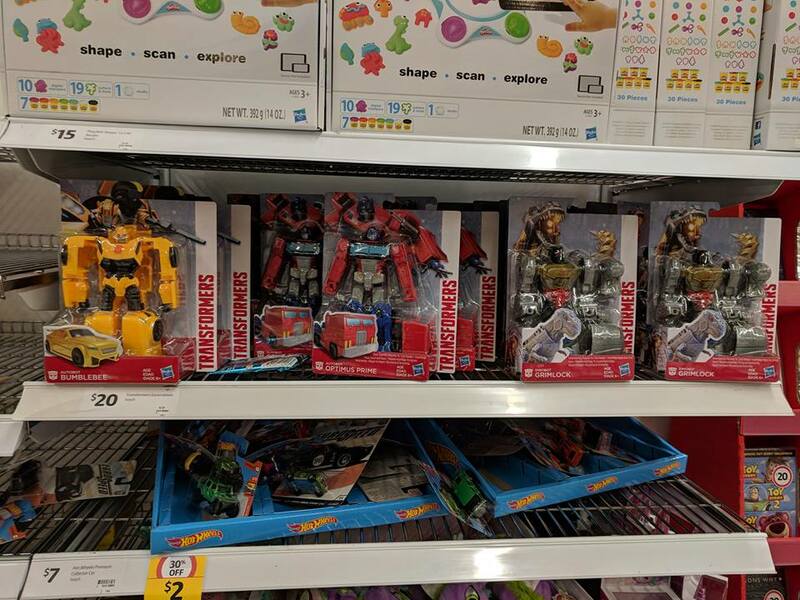 Meanwhile, on facebook, Nathan Luke has found the three Titan Changers for the Bumblebee Movie (Shatter, Bumblebee, Optimus Prime), at a different Target in Sydney (Roselands). 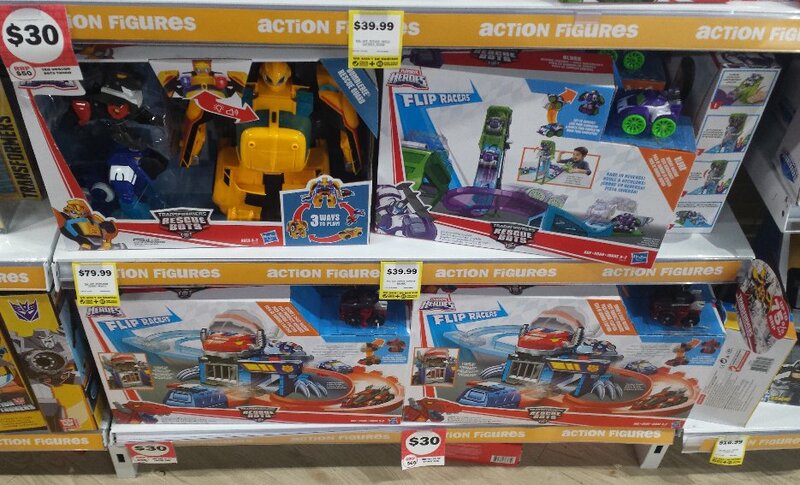 The Target Springwood across the road had all five size classes of Cyberverse, and a new Rescue Bots pair of toys - Flip Racers pullback Heatwave and Quickshadow, for $24 each. Racers, they are a little bigger, which means that they probably won't be compatible with all of the previous playsets and launchers. Last edited by griffin; 16th September 2018 at 06:13 PM.